Home » Telecommunications » Now That Supa Is Gone Should We Expect Netone’s Suspended CEO To Bounce Back? Now That Supa Is Gone Should We Expect Netone’s Suspended CEO To Bounce Back? The eventualities of Friday brought some new changes and faces in the cabinet of President Mnangagwa. 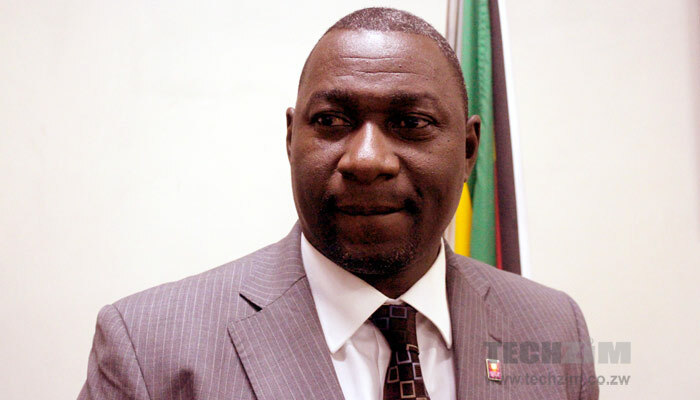 Without looking very far, the Ministry of ICT and Cybersecurity saw Kazembe Kazembe taking its helm, thus replacing Supa Mandiwanzira. Supa’s tenure which started in 2014 was not without many controversies and scandals. One of the most notable scandals is the accusation that he was creating a cartel in the ICT industry by appointing his buddies in influential positions. It’s an accusation that was credible in the eyes of some people, I guess, given his squabbles with the ex-CEO of state-owned Mobile Network Operator, Netone, Reward Kangai. Not only did Supa Mandiwanzira got into a dispute with the Mr. Kangai only, but even with the currently suspended Netone CEO, Lazarus Muchenje. Yes, Mr. Muchenje is the ‘currently suspended CEO’ of Netone. Mr. Muchenje was suspended after he unceremoniously dismissed 9 Netone executives (who included 2 well-known long-time buddies of Supa, according to Mr. Kangai) and sued Supa, who was by that time a Minister. After doing my math, I, for one have since come up with a conspiracy theory that Supa had a hand in the fate of both CEOs of Netone. I mean that even though the Minister of ICT and Cyber Security is naturally expected to have a hand in Netone (since it’s a government-owned company), Supa’s interference may have been out of pure self-interest. In respect of the above narrative, I have found it a bit hard to even speculate whether Lazurus Muchenje will be asked back to take charge of the Netone ship. At the extreme end, Mr. Muchenje’s suspension or better yet, the axing of Mr. Kangai didn’t really draw the attention of Zanu-PF (the ruling government). Accordingly, it means that Zanu-PF supported Supa’s actions or it was just indifferent. So I don’t see Mr. Kazembe reinstating Mr. Muchenje, he will just stick to Supa’s script. At the other end, the sacking of Supa more or less highlights that President Mnangagwa was not in content with Supa’s governance in the ministry. At the same time, should President Mnangagwa’s gospel of Zimbabwe is Open For Business which entails doing business professionally and doing away with corruption is going to be followed by his ministers then Mr. Kazembe might override actions that were done during Supa’s reign and reinstate Mr. Muchenje. All one needs to do is to look at the capacity utilisation of Netone. An over-simplified calculation would be to divide the number of subscribers by the network capacity of the network. So, with 2.5 million subscribers on a network with 10 million subscribers capacity, that could mean 25% capacity utilisation. Meaning that 75% of the capacity is idle. Take other factors that you may want into consideration and double the capacity utilisation to get 50%. The last CEO is a chartered accountant. Management Accounting lessons would make him look at it that way. What would you say about the management team’s capability which only uses 50% or less of what was built using borrowed money from China and still to be repaid ? If I were the new minister I would very seriously look at why the 9 managers were fired against such a background. The rest is implied …. THE THIEF is now gone… fairwell Supa chibuku thief!! Bye bye Supa. You are an embarassment.